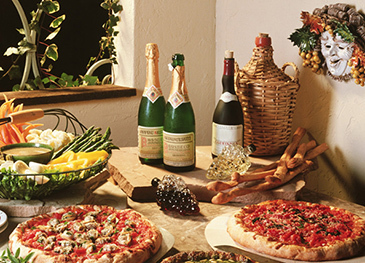 The Italian Chamber of Commerce in Korea and six Italian restaurants in Seoul, all members of the Chamber and its Food & Beverage Committee, is holding for the third time in Korea an authentic Italian Food Festival, with the aim of presenting to Korean consumers typical dishes of the Italian regional cuisine. From March 28th to April 28th 2014, each of the six involved restaurants is offering their customers an exclusive course menu including typical and authentic dishes from a specific region of Italy, prepared and selected by their own chefs, and the cost of the set menu will range from 58,000 to 125,000 KRW. The restaurants joining the Festival are “Atrio (Conrad Seoul)” in Yeouido, “Buon Posto” in Chungdam-dong, “CasAntonio” in Itaewon, “Harmonium” in Hannam-dong, “Peninsula (Lotte Hotel Seoul)” in Sogong-dong, “Spasso Italian Grill” located in Chungdam-dong. The event represents one more chance to celebrate the 130th anniversary of the diplomatic relations between Italy and the Republic of Korea. The Italian chamber of Commerce in Korea, along with the Embassy of Italy in Seoul and other Italian institutions, are going to organize a wide range of events in order to celebrate this anniversary in a proper way.